This has been a very challenging season in our country and in our ministry. The monsoon rains came a month early this year and have been extremely heavy. Because of all the standing water, many mosquitos breed and people get sick due to influenza and malaria. 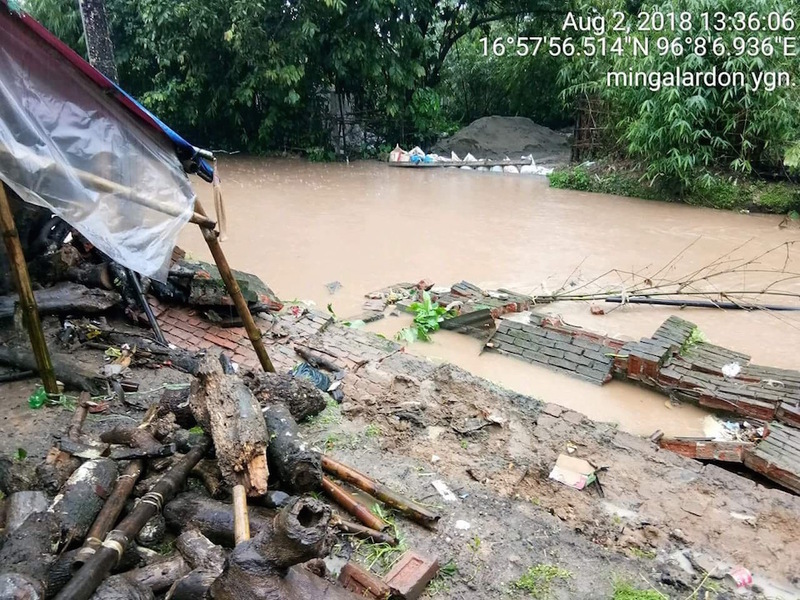 There is now flooding and mudslides throughout many areas of Myanmar. 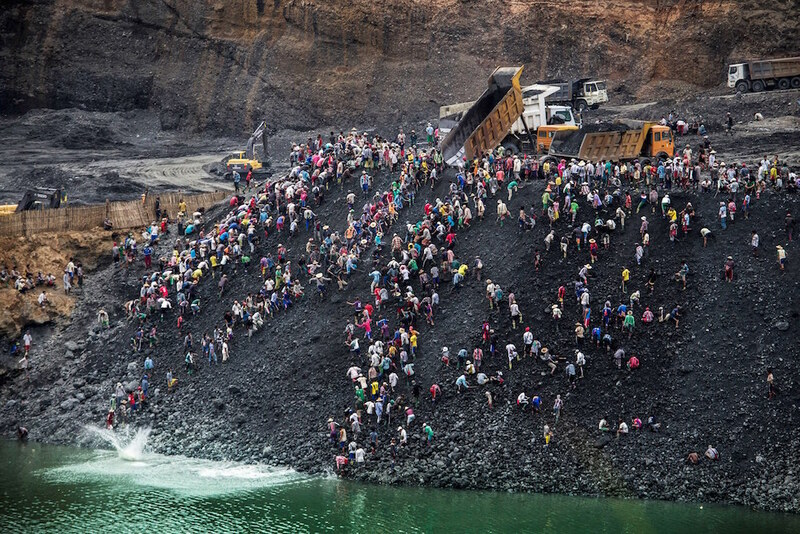 A few weeks ago a huge mud slide in a jade mine took the lives of many people, and some of them were relatives and friends. 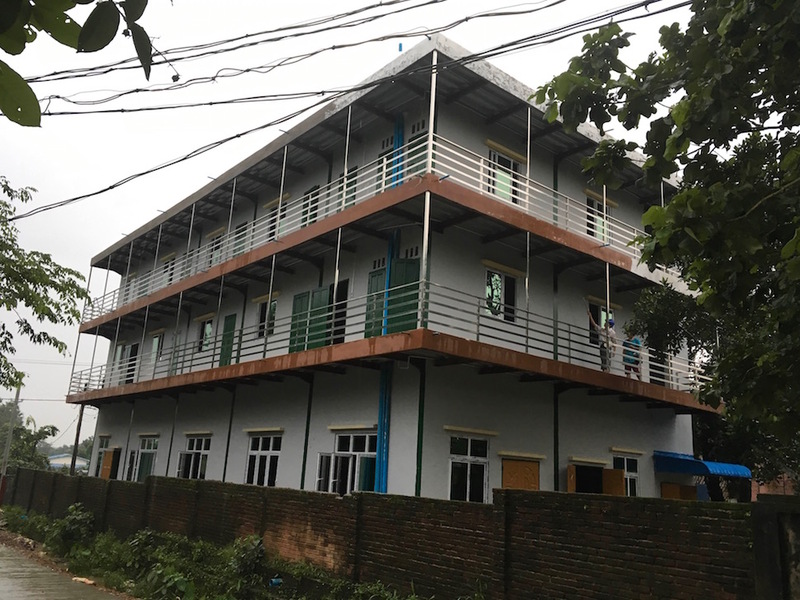 Most recently, our Yangon Orphanage perimeter wall collapsed on one side due to flood waters. We have put up a temporary wire fence and will need to rebuild it when the rains cease. Much of the flooding and mudslides are due to the vast deforestation occurring in our country. Countries like China come in and pay our government for rights to mine or log and then leave the landscape barren. It is a huge problem here. Our government cronies benefit, but the people suffer. The drug problems also continue to increase because our government is not organized well and there is confusion and injustice in our law and order. We are in transition from being run by the military to being a democracy, so good things and bad things are happening at the same time. Our people are very tired of our civil war (now over 60 years) and our champion of democracy, Aung San Su Kyi, is trying hard to negotiate a ceasefire. Please pray that our government can get wisdom and peace. 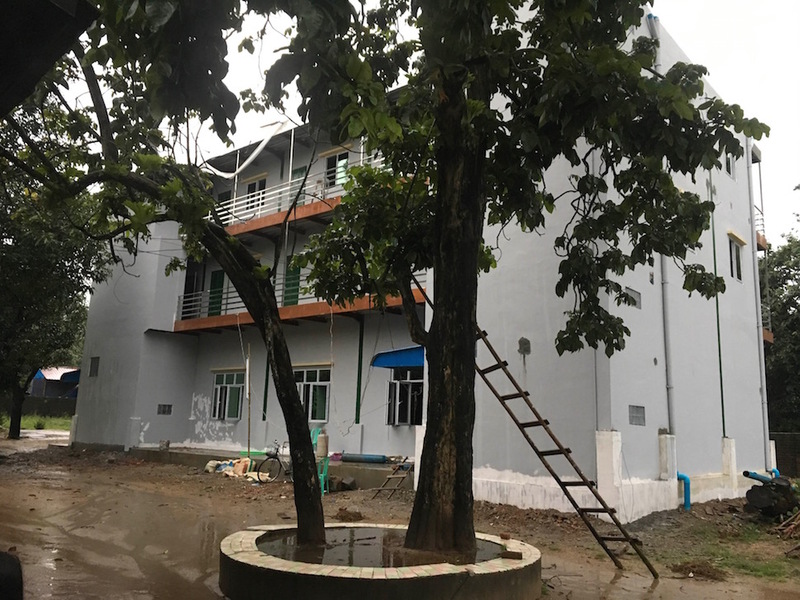 As you may know we are in the final phase of our new Yangon Orphanage building construction project, but the early and extremely heavy monsoon rains have made this very difficult. The exposed steel beams were painted, but the heavy rains washed the paint off before it could dry. Now we have to wait for the rains to stop, scrape the beams of any rust, and then repaint. This adds time and expense. We were able to correct the issues we had with the roof leaking and with the top stairwell being too steep. 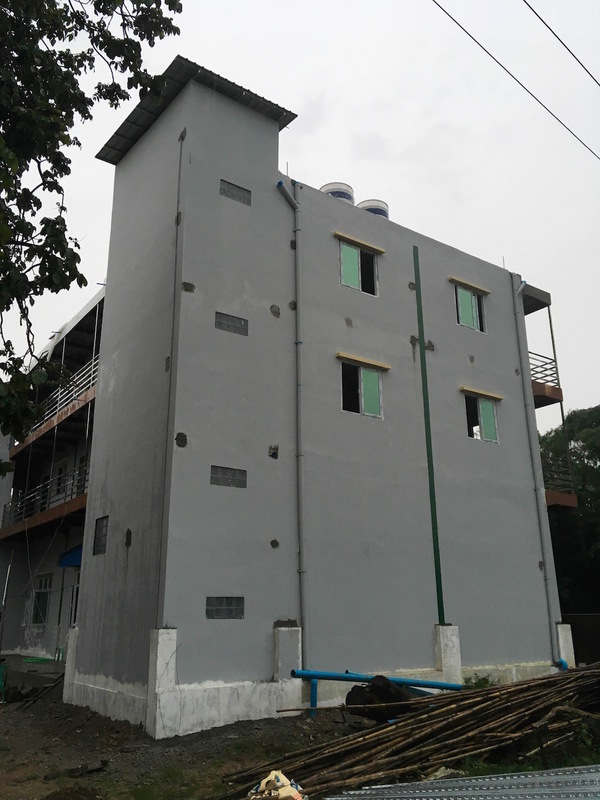 We plan to put in an air conditioner on the bottom floor where our church meets and the children gather for meals. This will be the first time we will have in-stalled air-conditioning and it will be a real blessing! Before the monsoon rains come each year, we have temperatures in the 100’s for a few months. It is very hot and dry then and we will really bless people with this luxury. We baptized 20 people in the last year at the Yangon facility (orphanage and Wireless Church of Christ) and one of them, Khim Mumu Tun, is 12 years old. She and her parents attend our church, but they are very poor and can not afford to send her to the public school. Public schools are free as well, but you have to be able to bring your own lunch, and purchase books, uniforms, and other supplies. They could not afford any of those things so she has been attending a Buddhist monastery school that is completely free. She cried when she told us about her experiences of being mocked and teased by the other students and sometimes the monks, especially when she prays over her lunch. She loves the Lord and was baptized a few weeks ago. Please keep her in your prayers. Bullying can also be a problem in our Myanmar public schools. Sometimes the children in our care are teased and bullied by other children and sometimes one of our children may lose control and fight back. This happened recently with one of our children who was bullied by 3 other kids. The principal said that if he was caught fighting again he would be kicked out of the school. We know that sometimes kids are just being kids, but the way our kids are treated can be unfair. We praise God for our supporters who have given over and above what they normally might give. One church sent us $12,000 to help complete the orphanage, and several first time donors gave us significant gifts! We are so thankful!! Gay Gee passed his high school exam with a distinction in Economics and Chemistry. We are so proud of him! Yaku and Pong Zi Aung also passed their exams. We were able to purchase a motorcycle for one of our preachers in Jung Byaw. We held an elders and deacons seminar that went very well. We praise God for our evangelists who spread God’s word to those who have never heard it before. May God bless them and may there be many souls saved! We praise God for the trip that Khaw and I were able to take to New Zealand and Australia. We were invited by missionary friends and the trip was very fruitful. That our government officials would repent and do what is right to bring peace and health to our country. That the rains would cease and the flooding would stop. That our orphanage project could be completed, and new orphans brought in. That our children would not be bullied or looked down upon at school. That God would provide a way for our son Jonathon to attend a Christian Bible College in the US next year, and that Jonathon would study hard and do well on his English exam. Mission Myanmar is now a 501C3. Our board members are: Judah Tangshing, Suzanne and Jeff Kosik, Mike Shelly, Michael Chambers and Joe and Jerry Snyder. All support now comes to us through Mission Myanmar which is administered by the Global Outreach Team at Real Life Christian Church. All support goes directly to the mission with no administration fees taken out. There are transaction fees when you pay online. These transaction fees help pay for the cost of wiring money to Myanmar and you have the option to help cover those costs when you give your support online.